Truth: most pastors place way too much stock in the response they receive on their messages, etc. You would think that, especially as a pastor/teacher matures with some ministry years under their belt, that they would be impervious to the Monday morning blues, but…not so. It’s a little bit embarrassing to admit that few professionals live on the emotional waves’ edge of people’s opinions more than pastors. Maybe politicians…or barbers. Well, without exploring that less than gratifying thought any further, let me tell you that, aside from my talk last Sunday, the experience at church was awesome for me. 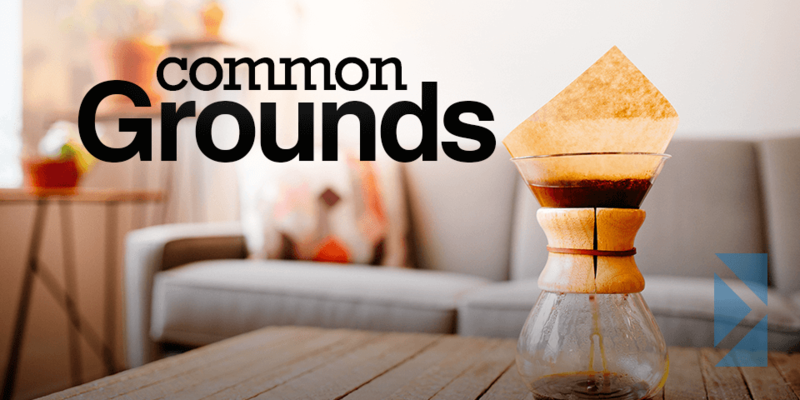 My morning began with some hot coffee and breakfast in the room where Common Grounds meets. I love the oatmeal with fruit and raisin brown bread toast. To see people sitting around enjoying breakfast together while at the same time digging into the Word is a very cool thing, especially when I think of people who live in places where doing stuff like that could land you in prison. I also hung out in the foyer for 20 minutes or so, and as I watched my friends showing off their new grand son, I was struck with the power of faith being passed from one generation to another. When I hear Colton or Cailyn shout “Grandpa!” and feel their arms wrap around my leg, I think about all the reasons I want them to grow up in an environment like this. It’s what God intended I think. When the service got going it was in the context of Darren, the worship leader, sharing how the sunshine that day reminded him of how he felt when he first came to faith…as though the skies of his life were suddenly clear. He said that the sense of relief he felt today, that winter was over and spring was here, made him remember how awesome it felt to experience the sensation of knowing everything was new in his life because of Christ. It made me feel like singing…so I did. Those moments every Sunday where I put the cares of life aside and focus on the greatness of God are like drops of water to a thirsty soul, and every week it seems like the Lord lifts up a phrase or a thought from one of those songs and drives it deep into my heart. Often, it feels like God’s voice speaking personally to me. As Emily prayed, it felt beautifully the opposite…like her words were helping me speak personally to God. The Bible says that the Spirit helps us and shows us what to pray, and there have been so many times when the prayers spoken in the service seemed to powerfully and mysteriously read me like a book. That too, is a constant reminder that the Lord is in this place, and whether I’m praying along with someone else, or singing the words on the screen, every week it feels like God is reaching down to me as I reach my faith toward Him. Weird that such a personal encounter can happen in such a public and corporate place. Weird…and beautiful. The coolest thing though, was when Tamie came up front and shared what she felt compelled to speak. It was a confession of sorts, and it betrayed such a sense of humility and gratitude for how God had helped and blessed her that no one could miss the sense of God’s presence and power. It took courage to do this I’m sure, but my, how the Lord used that simple act to remind us how important it is to be submissive and repentant before the Lord. The morning wrapped up with an awesome conversation with a great young man who was feeling overwhelmed with some challenges he was facing, and as I in my 60’s sat talking with him in his 20’s, I thought how neat it was to know that we are all in this together…all struggling to walk out our faith and hold on to Jesus. God reminded me of some veteran believers who spoke in to my life when I was where he is now. Seems what goes around comes around. Sorry to be telling so many stories, but trust me, they all happened that one morning last week…at church. I felt blessed, used, spoken to, moved and challenged. I left with an appetite for more, and a prayer for the many people I know who miss God’s good stuff every week. And, oh yes, I left with a big bag of homemade chocolate chip cookies someone baked for me too. Think I’m coming back next week! Join World Hope Canada at the Royal Nova Scotia International Tattoo in support of their Spring Capping Program, a fundraising effort to provide clean drinking water to the people in D.R. Congo. 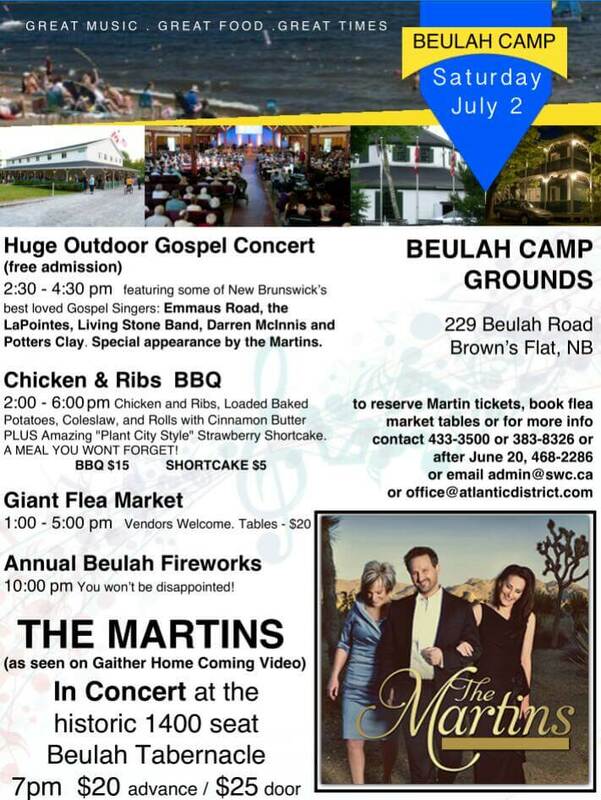 Travel by motor coach to Halifax; pick up points in Sussex, Petitcodiac, and Moncton. Cost: $110. 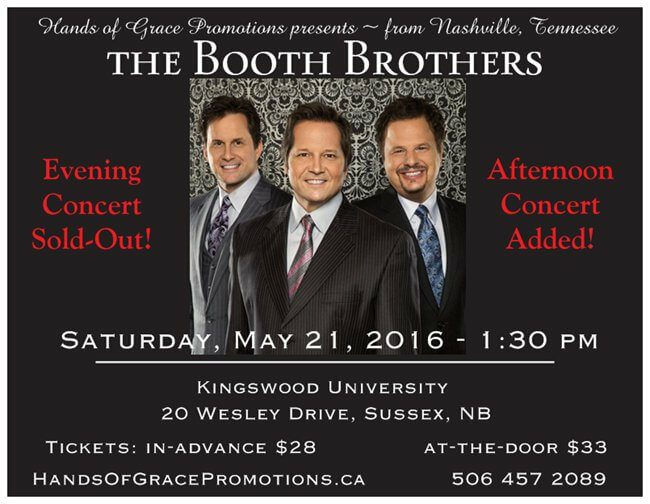 To book tickets please contact Kerry Allison: 433-2589 or 567-4443 or visit worldhope.ca.